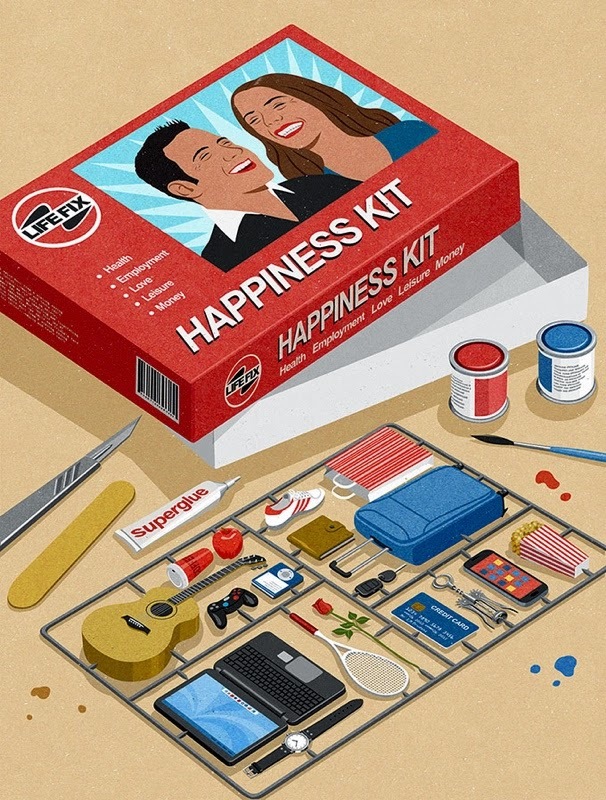 ILLUSTRATOR JOHN HOLCROFT'S artwork style has a 1950s-era retro flavour, and here he echoes one of rising stars of that time, Airfix, with this satirical take on modern life's need for instant gratification. Holcroft's illustration neatly sums up the 'necessary items' of existence as parts on a runner, though there's been some time taken at the careful paintwork he has visualised! All the bits and pieces seem to be included, from scalpel and sander to cement and paint tinlets. Good observations skills there, though we'll pass on the popcorn. 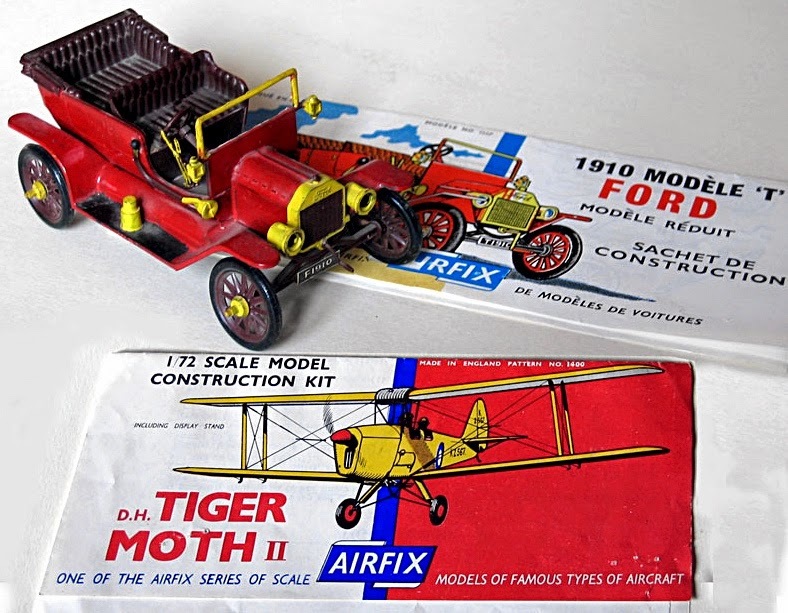 The early Airfix kits (below) were among the forerunners of a range that by the 1970s took around three-quarters of the UK kit market, with factories pressing some 20 million kits a year. After various ups and down in the years since, new management has seen a rebirth of the company, with highly desirable kits appearing on a regular basis. We're looking forward to news of the 2015 release list, due this side of Christmas. Nice idea, that Lifefix kit. For more examples of John Holcroft's work, visit his website here. Meantime, for SMN model makers there are plenty of good things coming out of Airfix this Christmas, including the animated Advent Calendar here.